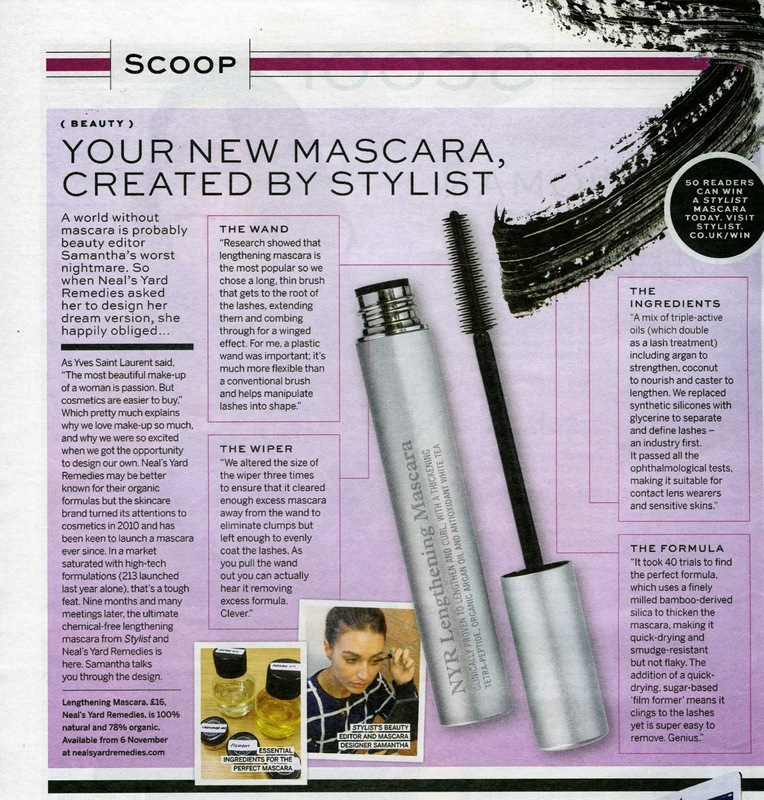 Yes, that is right...Stylist Magazine teamed up with Neal's Yard Remedies and made a beautiful baby mascara! For those of you that aren't familiar with it, Stylist is a stylish free magazine that is given out around London and I believe other cities like Birmingham and Manchester (in the UK). It is full of fashion, beauty and other goodies and always features an amazing article about something interesting and out there cool. Anyway so, last week I was religiously reading through it as i do every week (it's a definite mid-wekk fix!) and right there had to be the greatest article and peice of news going. Stylist had teamed up with Neal's Yard Remedies and helped create their first ever (for both parties) mascara...aaaaaaah! Yes! You can read all about it above as I just had to scan it in and show it on here, but it sounds fabulous! It took 40 trials to get the natural formula just right, now that is dedication and commitment! 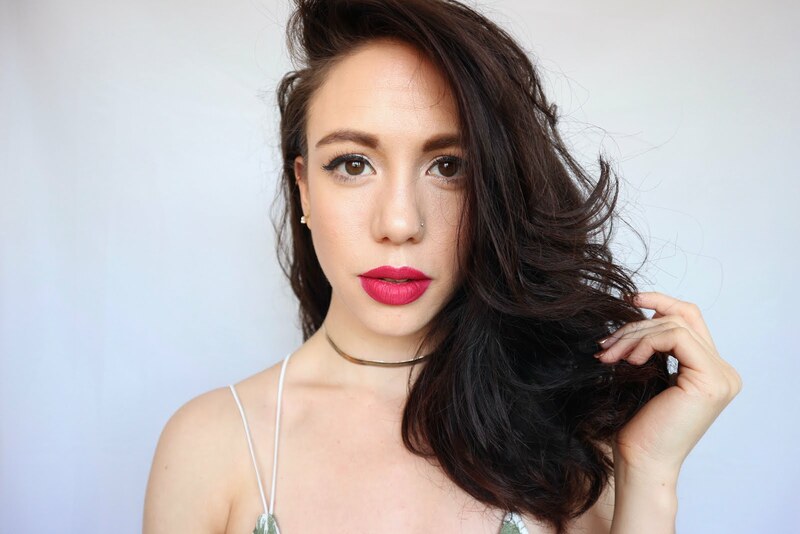 This collab mascara is 100% natural and 78% organic which is amazing for a mascara! This will be available on the 6th of November on Neal's Yard Remedies website and hopefully rolling out in stores soon after that! But wait...that's not all of it yet! No no, it gets better! To celebrate this lovely union and show this new product to the world, Stylist are giving away a bundle of these mascaras to be won on their website! Hit up this link here >> Stylist Comp and enter NOW as the comp closes at midnight the 6th November! It was nice to learn that there are some companies which are interested in making Natural Organic Care products.